Did you know that in the late 19th century before the style set could jet off to warmer locales for the winter, they held lavish balls complete with grand entrances and opening waltzes? That's one thing I do love about the cold--while it may not be as decadent as centuries past, nighttime parties always feel that much more glamorous in the winter, especially in New York City. Women are in furs and sequins and heavy silks; they're gliding out of taxis and town cars cloaked in these luxurious fabrics that just don't have a place in the warmer months. And I do love a good excuse to dress up. 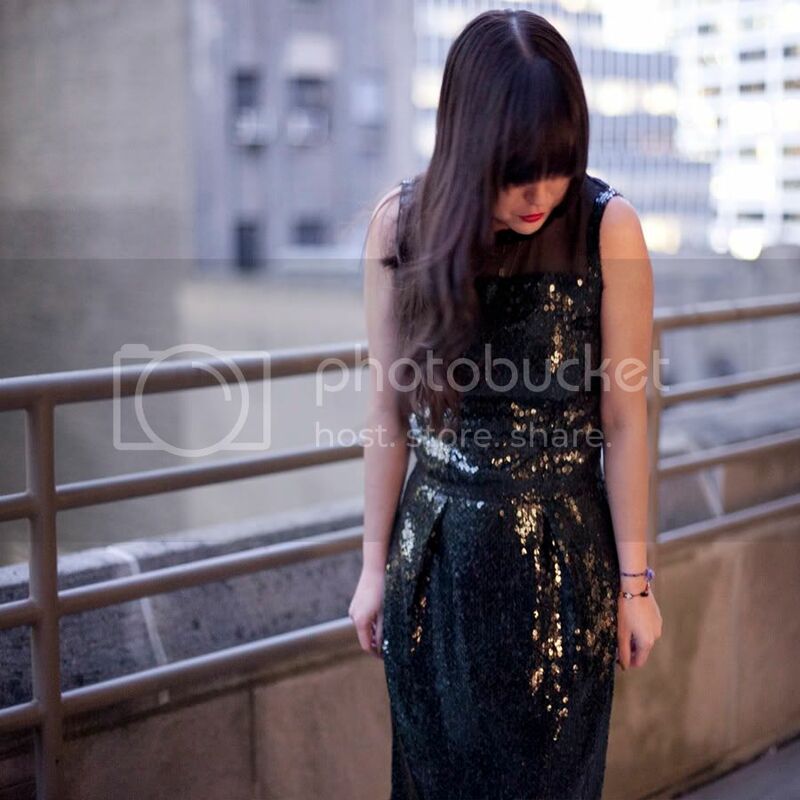 Way back on New Year's Eve, I was shopping my closet (read: being economical) for the perfect sparkly dress to wear and this little Marc Jacobs shift was one of the contenders. The shape is straight-up classic, but nothing puts some life into a simple black dress like rainbow sequins and a strip of sheer silk. Gorgeous dress! Red lipstick is so perfect with it. Beautiful dress. Love the sequins! 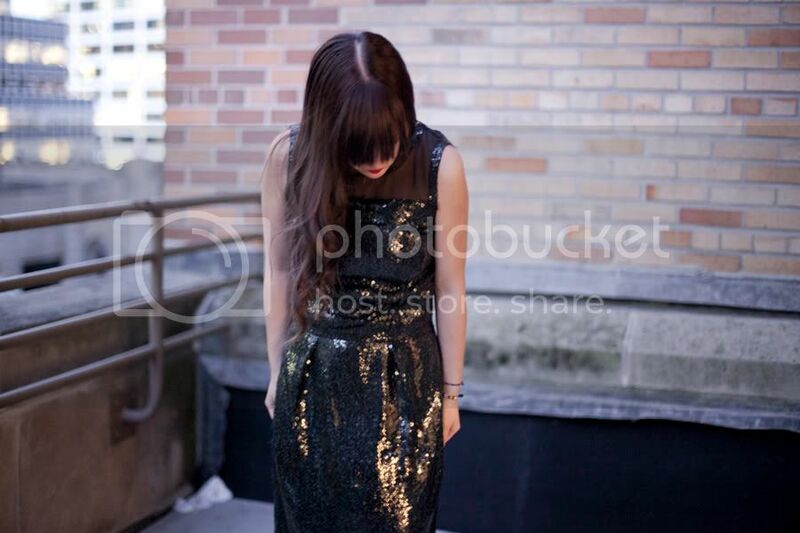 I have a black sequined dress sitting in my closet that I've been dying to wear this winter. Unfortunately, I haven't found the right occasion for it yet. I blame this mostly on the mellow climate and mostly casual/dressy casual style of So Cal. love these pics! so pretty!